Unless you take your picture with a telephoto lens, your pictures will likely have some perspective. Even if you snap a picture of a wall facing it squarely, the center of the wall will have a different perspective than the edges. The edges may meet when you apply the offset but the center of the image will be larger than the edges and there may be a visible wave as you tile your texture several times. Likewise, some objects, like a tree trunk, naturally telescope. You want this in your model but it can be a pain when trying to make your texture. Perspective must usually be corrected when you have multiple lines crossing your image. 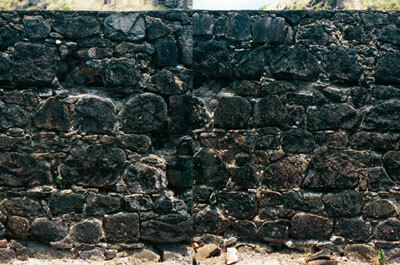 The example shown is that of a stone wall. 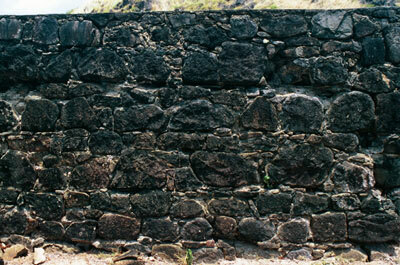 We want to preserve the top of the wall in this case and just tile in one direction (using a transparency map to remove the unwanted top sky portion of the image). The problem is that one edge of the image is slightly smaller than the other. A rotation will not fix this and trying to use the clone stamp to build up one side of the wall is inefficient and would most likely degrade the realism of the image. A much simpler solution is to use distortion. 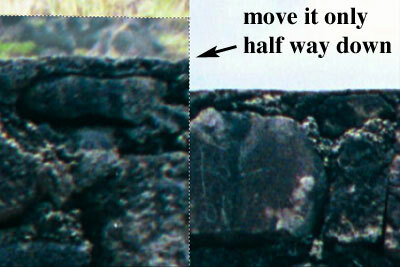 In this case, the bottom of the wall seems to match up well so we need only manipulate the top. Duplicate the background layer and highlight the new layer. Select half of the image at the seam and go to edit->transform->distort. Now, carefully drag the corner down so that the top of the wall moves down half of the distance to the top of the wall of the other edge. Avoid the temptation to move the image all the way down and call it finished. This will not only create a wave in your final image but you have also needlessly over-compressed one half of your image. 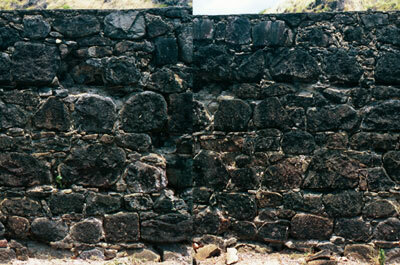 Now, select the other half of the image and, using distort, expand the image up until the top edges of the wall meet. You are now ready to remove the seam.